The supercar manufacturer, Italian car-maker Ferrari unveiled two new cars last month, under its new range, Icona. The new cars are called Monza SP1 and SP2 and they come with the company’s most powerful engine yet. The design of the new cars is inspired from the Ferraris of the 1950s and modern technology combined with it makes the speedy machines look terribly great. The highlight of the models though is the approach of the company this time, of keeping no roof and letting it be an open-affair all the way. There is no windscreen too in either of the cars-complete absence. Ferrari’s reason to do so is that by eliminating these elements, its been able to create unique proportions that would not have been possible on a traditional open two-seat car. The result is the feeling of blistering speed, which derives from the concept of a cockpit carved from the car’s very volume that wraps around the driver, explained the marque. Talking of the beasts themselves then the two cars run on a 12-cylinder engine and can shoot from 0 to 60mph in a mere 2.9 seconds, and also 0 to 124mph in only 7.9 seconds. 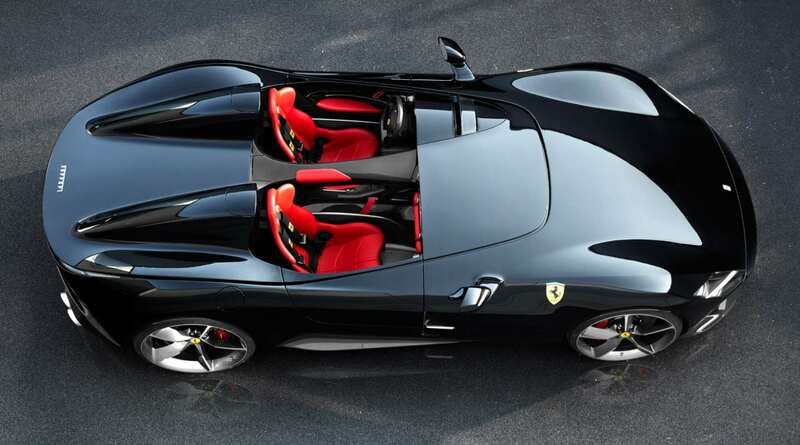 The Ferrari Monza SP1 is a single-seater, while the SP2 is a two-seater. The maximum speed of the cars is 186mph which Ferrari said is ordinarily experienced only by the Formula 1 racers. The cars’ design has a resemblance to Ferrari racing barchettas, or two-seat open-topped of the past. And more specifically it looks like the 1948’s 166MM that originally inspired the name barchetta, and the 750 Monza and 860 Monza, which were victorious in several races in the World Sports Car Championship in the 1950s. Both the new Monza SP1 and SP2 are made from the carbon fibre, which also allows them to provide the best weight-to-power ratio of any barchetta. And of all the 499 models that are made of these two cars, the sale of these will only be made exclusively to the company’s most dedicated clients and collectors. 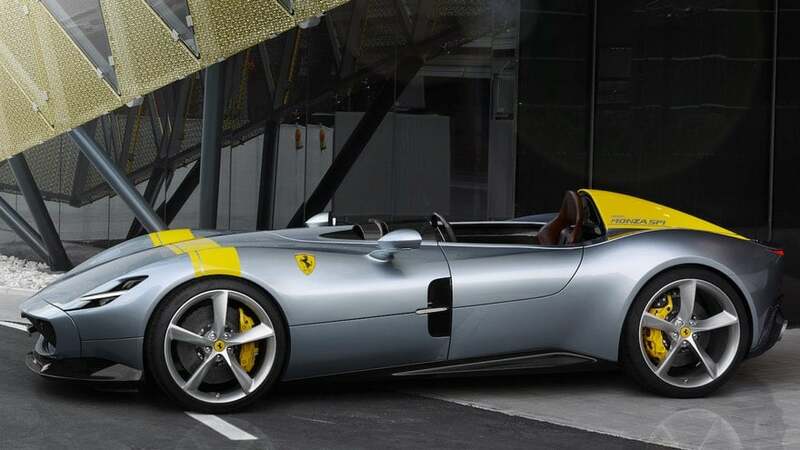 The Monza SP1 and SP2 are part of Ferrari’s 5-year strategy to widen its offering of limited-edition hybrid supercars.